The Dialogue 7 newsletter is now available online. French courses for students in health and social service programs at McGill. "Better Communication for Better Care"
Click here for Symposium 2018 Day 1 and Day 2 presentations. A result of joint efforts of Dialogue McGill’s partners. Dialogue McGill, the McGill Training and Retention of Health Professionals Project, contributes to Quebec’s initiatives to ensure that English-speaking Quebecers have access to the full range of health and social services in their own language through measures designed to build and maintain a sufficient complement of health and social services personnel capable of providing services in English. The project is an additional tool to support the implementation and enhancement of regional programs of access to public health and social services in English as provided for in the Act respecting health and social services. 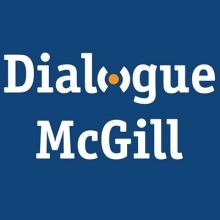 Dialogue McGill is now in its third phase (2014-2018). For more information concerning previous phases, please consult the Archives.